This great little garden goal is just a little wider and is the ideal garden goal for slightly older children.The posts push together and net supports are locked to the frame unlike other plastic goalposts that just push them into a hole. A unique ground anchor system that does not require any digging firmly secures the garden goal onto any grass surface. Manufactured with UV stabilized high impact plastics this garden goal has unbreakable polypropylene strengthened corner brackets and tubes that do not crease or break. A cost effective quality alternative to Forza or Samba Goals and other Far East toy goals.Made in Sheffield by the oldest plastic goal post manufacturer in the world they are safe and easy to use. The ideal football goal to keep your budding soccer star fit and healthy. 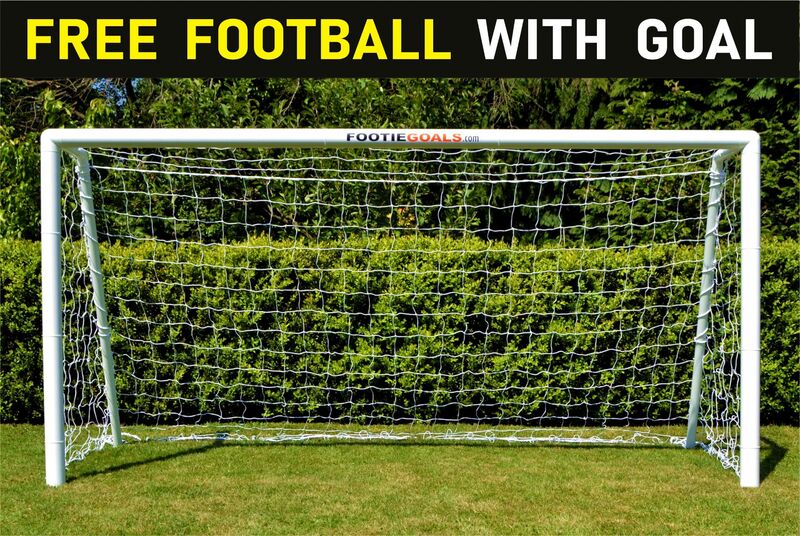 We guarantee you will not be disappointed with these football goals. British Library Wetherby Thank you so much for your prompt and efficient service. Even though I did not order until late afternoon my order arrived the following day.